Economic Freedom Fighters leader Julius Malema has called on people to take down all statues that are a reminder of apartheid, the Sunday Independent reported. “I’m challenging you. Revolution is not a legal activity. You must stop listening to those things like: This is illegal. There’s nothing like this,” he was quoted as saying. 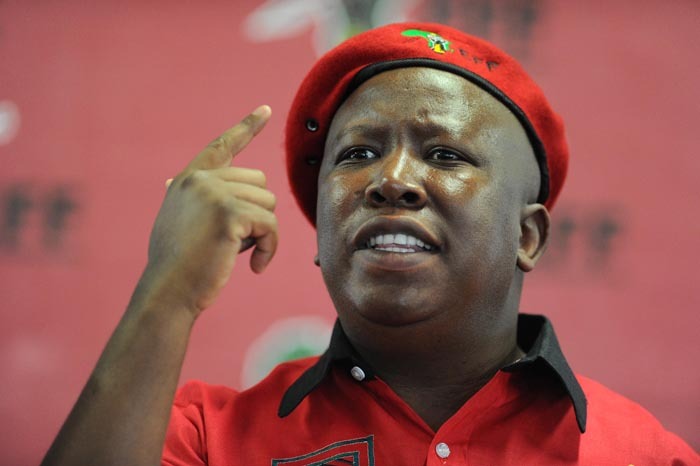 Malema was addressing an EFF Human Rights Day rally in Langa, Cape Town on Saturday. He said people who despised apartheid and everything it represented had the “duty to remove those symbols”. Malema reportedly said that he had no fear of being arrested for saying what he said and said he did not fear or respect “a rotten government”. Malema also said the statue of Cecil John Rhodes at the University of Cape Town should be crushed. “There is no discussion. Rhodes must fall,” he was quoted as saying.